for a chance to win an iPad Mini by answering the questions correctly. You really and truly have to read the book to answer them. There has been such a low number of people answering the questions (and getting them right), I’ve decided to extend the contest to June 30. So that should give you plenty of time to read it. 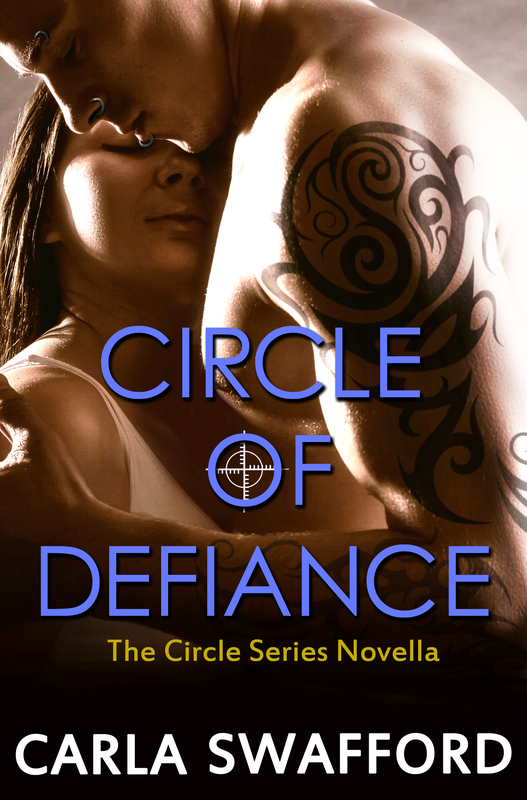 Here’s an excerpt from CIRCLE OF DEFIANCE. And no, none of the answers are in it. Hopefully, it will be interesting enough for you to want to read it all contest or not. “I’ll take you up on your offer, but the money isn’t enough,” he said in a near growl. “What? Are you kidding me? That kind of money could get me ten guys like you.” As soon as it came out of her mouth, she wished each word would evaporate into the night air. The pierced eyebrow lifted. “If that was true, you wouldn’t be begging me to help you. You know I’m the only one who can protect and help you at the same time.” That smirk she hated was back. Beg? He only wished. The handsome devil. He was evil. She crossed her arms. “So you don’t want money. What will it take to get your help?” She avoided thinking about it too hard. The heated look he gave hinted at what it entailed. Would she have the strength or will power to say no? “And?” She hated sounding like a smartass, but she really wanted him to get to the point. He grinned and leaned forward, one hand resting on the wall behind her. She should feel trapped, but her body started melting against his. Yeah. She wanted him. Badly. Did she just say that without hesitation? Oh, Lord of Mercy, she’d lost her mind. A new series is coming February 2016. Brothers of Mayhem. 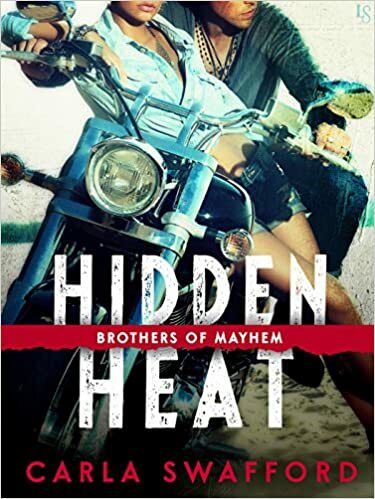 Yep, an outlaw motorcycle club and wait until you get to meet the heroes. Ohoooo, baby! Hot! The first book is HIDDEN HEAT!